Moon over Valley of Dreams, New Mexico ©2016 James D Peterson. 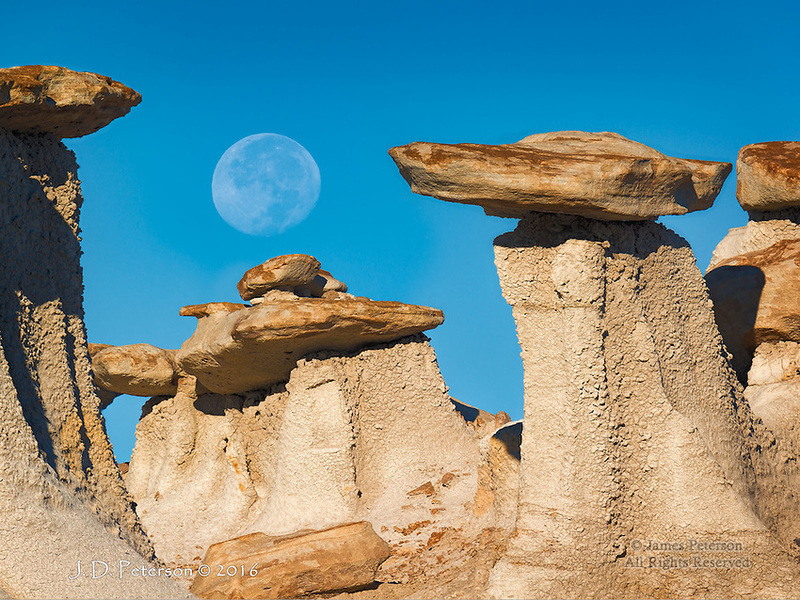 The setting Moon is framed by a few of the many hoodoos in this remote Northwestern New Mexico badlands area. This image was captured shortly after dawn on the second day after the full moon.